Welcome to my review of the HDE 15-55-21 Monocular. This is a small monocular with some massive zooming capabilities, designed to be carried in your bag, toolbox, or anywhere else you might want to stow a monocular for use. HDE (short for Hottest Deals Ever) is a large-scale gadget reseller, and their monocular is sold at rock-bottom prices. Let’s see just how good of a monocular it is, and how good of a value it is. So, you can see that you get the basics that you need to use the monocular, plus an extra bonus in the tripod adapter piece. This piece allows you to mount the monocular on any standard tripod, which is especially handy when using the monoc at maximum zoom. HDE advertises that this monocular will provide zoomable 15X to 55X magnification. During my testing, however, I found that not to be the case. In reality, the lowest setting matches approximately with my 8X Barska monocular, and the highest zoom setting matches my 30X riflescope. I wish I knew where HDE got the 15-55X numbers from, because it sure doesn’t seem to be from the monocular itself! The HDE monocular uses a roof prism design, but I was unable to get any information about whether it has a BK-7 glass or BaK-4. 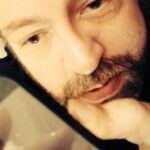 From the image quality, I would assume the glass to be BK-7 borosilicate flint glass, because I can faintly see squarish, gray edges in the exit pupils when I hold the monocular pointed towards a light source. That also makes sense because of the extremely low price of this monocular; BaK-4 barium crown glass is more expensive. Next, the coating. Once again, the manufacturer fails to mention whether the glass is fully multi-coated or just multi-coated, but the level of reflection I get leads me to believe the lenses are only multi-coated or not coated at all. The image quality on bright days is okay, but quite a bit of reflection comes through the glass. The field of view of this monocular is rather narrow even at the lowest zoom setting, working out to approximately 150 feet at 1,000 yards. Zooming into the 55X range, the field of view drops like a rock, making it very difficult to use the monocular to zoom in on a small object unless you use a tripod or have very steady hands (and precisely align your subject in the center of the view.) The focusing mechanism on the HDE monocular is pretty good, allowing you to go through the full range of focus with ease. The wheel spins with just enough resistance to prevent accidental adjustment, while still allowing you to focus on your subject with ease. Images through the HDE monocular are not terribly crisp or clear, and there is a distinct lack of contrast in the colors. The image quality, therefore, isn’t the best, but it’s about what I’d expect out of such an inexpensive monocular. You shouldn’t expect to get Swarovski quality out of something that costs less than $20, after all. The monocular features a 21mm objective lens, so there is not much in the way of light gathering capability in the monocular. With that said, I was able to zoom in on the moon one night and see the individual craters. While not designed for stargazing or other astronomical use, it does transmit enough light to be relatively usable at night, if you’re observing a lit object. The monocular is definitely not made for all-terrain use in poor weather, I’m afraid. The glass fogs up quite easily, making the monocular unusable in rainy or humid weather. What’s even worse is that the fog develops inside the monocular, rendering the entire kit and caboodle useless after a major fogging episode. Mine has gotten so permanently fogged up that it’s entirely unusable at this point. The body of the HDE 15-55X is mostly a plastic housing, with a rubber eyepiece and rubberized focus wheel. This monocular definitely feels inexpensive, and it’s something that I might keep in my car for occasional use spotting things that catch my attention. It’s not built for extended or all-terrain use, though, and doesn’t include any way of attaching a neck strap for carrying at the ready. As previously mentioned, this monocular fogs up quite easily. The plastic housing is sure to crack easily, and the reviews of this monocular elsewhere indicate a problem with the glass breaking easily. This is not a monocular I would rely upon in the hunting field, but it’s nice to have in the car when I spot the occasional fancy bird or other exotic wildlife. How Well Does the HDE Monocular Work in the Field? That’s the big question, isn’t it? How well does it perform? Well, we’ve touched on the fogging problem, and the cheap plastic housing. Let’s face it; this is a cheap monocular made by a company that resells Chinese gadgets. It’s a decent enough monocular for the price, but don’t purchase it expecting crisp, clear images at all distances. In fact, this monocular is best for just casual use, when you just want to get a slightly better look at something. Thanks for reading this review. The HDE monocular is okay for casual use, but it is not something I would rely upon for dedicated wildlife viewing or astronomy purposes. I'd recommend it as a nice stocking stuffer for the kids, but not much beyond that. 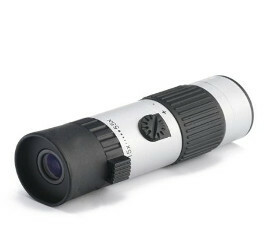 I’m looking for a portable and powerful zoom monocular. Is he HDS 15-55x better than them? Are their max zoom too pretentious? Hi bro..I really like your review on the monocular and I would appreciate if you would kindly review or compare the hde compact mono and the Bushnell 16×52 since both are approximately at the same price bracket. Thank you and sorry for the crappy English..